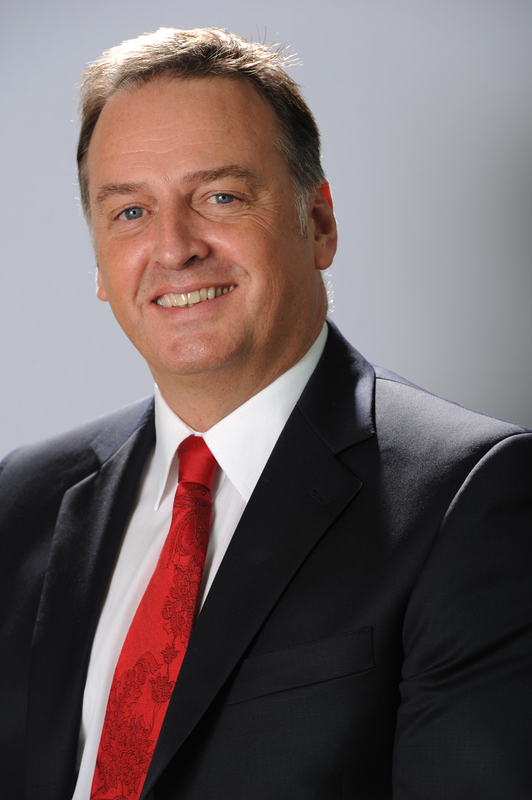 Karl Blight, GE Healthcare General Manager Northern Europe, explores the impact on services caused by aged diagnostic imaging and calls for more innovative funding strategies. 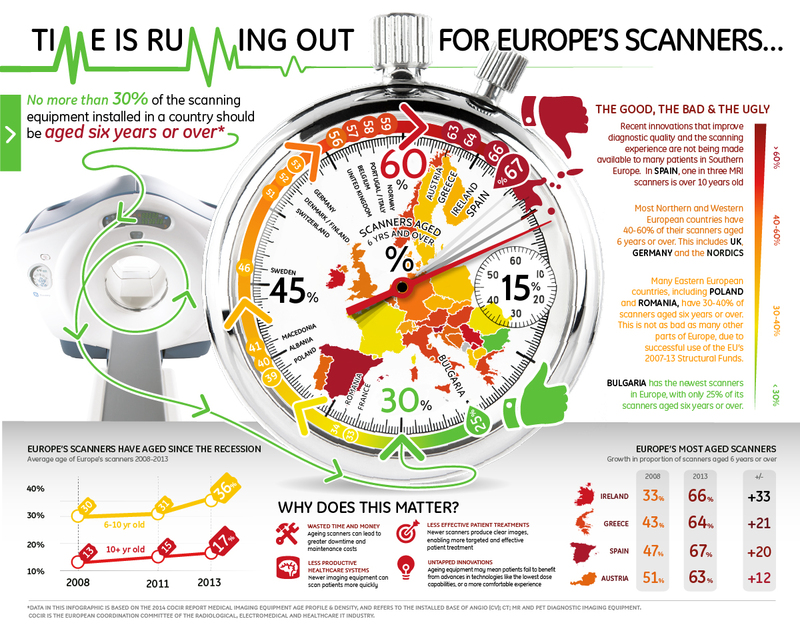 The 2014 Medical Imaging Equipment Age Profile and Density Report from European Coordination Committee of the Radiological Electromedical and Healthcare IT industry (COCIR) shows that diagnostic imaging technology in many EU countries is now the oldest it has ever been, and cites economic austerity measures across Europe as the major driver. In the UK, diagnostic imaging technology has also aged significantly. This is most notable in PET, where equipment aged between six and ten years old has increased from 7% to 45%. Britain now breaks two of COCIR’s Golden Rules that no more than 30% of medical technology should be between 6 and 10 years old in all four of the technologies surveyed (CT, MR, PET,angiography) and that no more than 10% of the installed base should be older than 10 years of age in MR (14%) and angiography (19%). It is therefore concerning that despite the increased pressure on healthcare systems to cope with the ageing population and the increased prevalence of chronic disease, much of Europe is persisting with old equipment that simply cannot offer the same benefits to patients in terms of diagnostic quality, reliability and speed. However, the COCIR report does highlight some examples of best practice in Europe that we can learn from. In Poland, France and Denmark, many healthcare providers have adopted innovative funding mechanisms such as capital financing programs to protect against technical obsolescence. Others are utilising Managed Equipment Services, contractual partnerships between a care provider and an equipment supplier, to provide access to medical technology and services against a fixed annual fee. Although the UK is slowly adopting similar measures, the uptake of new technology is not what it could be. This potentially places British patients at a disadvantage as they are prevented from accessing the latest medical innovation to achieve a more effective diagnosis and treatment. As a medical device industry it is our responsibility to help clinicians to deliver the highest quality care and without the uptake of newer technology medical professionals are unnecessarily constrained. This is why we should be doing all we can, both as individuals and through our networks and membership organisations, to encourage politicians, both in the UK and across Europe, to understand that short-term thinking, purely focused on financial accounting, will be to the detriment of healthcare outcomes. Instead, greater appreciation is needed of the long-term benefits of investing in cutting edge diagnostic imaging equipment to address the shortcomings identified in the COCIR report. Posted on October 6, 2014 by birblog2013. This entry was posted in Uncategorized. Bookmark the permalink.